Richard Wagner (1813-1883) has over the years been many things to many people. Not all of them involve uses to which we would like to see him put. Like Nietzsche he was posthumously recreated as a poster child for fascism. There is no reasonable reconstruction that would make either of them Brown Shirts. Neither were they saints. But if Gesualdo could murder his wife and lover and still be listened to with awe and respect, Wagner is personally guilty of far less. Mostly he was used to represent an ideology he was not a part of. And as we look back today, we see him as a towering genius of his age. Many readers will know him as an orchestrator whose coloristic and expressive innovations had much to do with or made possible the orchestral sound of Bruckner, Mahler, Richard Strauss and beyond. His prelude to Tristan und Isolde gave cogent form to a modernist, harmonically advanced future. 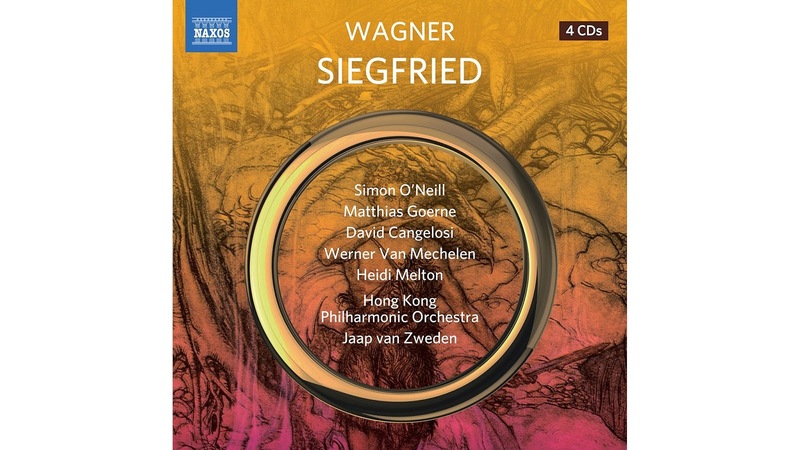 The forest scene of Siegfried, as Debussy himself indirectly pointed out in his music reviews, was supremely coloristic and a precursor to the Impressionist musical palate. The leitmotivic manipulation of operatic characterization was a revelation. And of course the Ring Cycle was a triumphant epic masterpiece of musical drama. There is much more to say but not in this space. The days when a critic could jokingly suggest that "Wagner's music is better than it sounds" has passed us. The music sounds for us today as eloquently as any past master does. The Ring Cycle, seemingly against all odds due to its enormous length and its four intertwined operas, thrives in Beyreuth but also in the opera houses of the world. Siegfried happens to be my personal favorite among the four extraordinary operas in the Cycle. That may have to do with the fact that it was the first one I immersed myself in. Yet dramatically it has so much, and so also musico-dramatically.. My initial version was a wonderful one with Knappertsbusch and a sterling Beyreuth cast. Moving as I had to, and in the LP days an entire Ring on disc was akin to moving part of a chimney, I ended up abandoning the Phillips and eventually got the Solti version, which was phenomenal as well. Then more moving and now I have a chance to review a new version with good soloists, the Hong Kong Philharmonic and conductor Jaap van Zweden (Naxos 8.660413-16) on four CDs. There are sometimes little things that endear you to a particular version, perhaps more via familiarity than inherent necessity. So I miss the superbly spooky Knappertsbusch treatment of the encounter of Siegfried and Fafner the dragon in the treasure-laden lair. And then I miss the percussive chorus of elfen sword forgers on the Solti. On the other hand this Naxos version is a real bargain. And in the end it is surprisingly good. There is so much to get right in Siegfried. The wonderful orchestral parts, the interaction of Mime and Siegfried, the love scene, Fafner, the Wanderer's appearance, the sword hammering, the forest scene, the heroic Siegfried. So much to get right and so much that is irreplaceable musically. It may be Wagner's most deft juxtaposing of leitmotifs, ever. This is opera as epic symphony, music drama as stunningly paradigmatic, in tremendous advance. All gets a crisp treatment, not overblown but in no way sterile, either. The cast is quite good, the orchestra responsive and precise. They get everything right. And even if you know the opera inside-out as I do, there is enough different and rather modern in the reading that you well should be glad to have it as a refreshing alternate to versions you have lived through most thoroughly. And if you need a first version, you cannot go wrong with this one and the Naxos price. The CD age means you can have an entire Ring in four volumes and not have to move the furniture to the attic! This van Zweden Siegfried takes up little room and sounds great, too. So I recommend it! There are people no doubt who go through life listening to only one thing, one narrow pathway to one musical place. I suppose we should appreciate the single-minded zeal. Yet they are missing out on everything else! As anybody who reads my blogs no doubt understands, I advocate continually a listening mind that expands boundaries, that challenges the singular answer and goes forward in search of the multifold, as elusive as that search might sometimes be. So after a couple of days of Debussy on these pages I switch gears to return to the present moment. It does connect. Yet at first blush they seem to be two worlds apart. Impressionism and new ambience are not as far removed from one another as one might initially think. 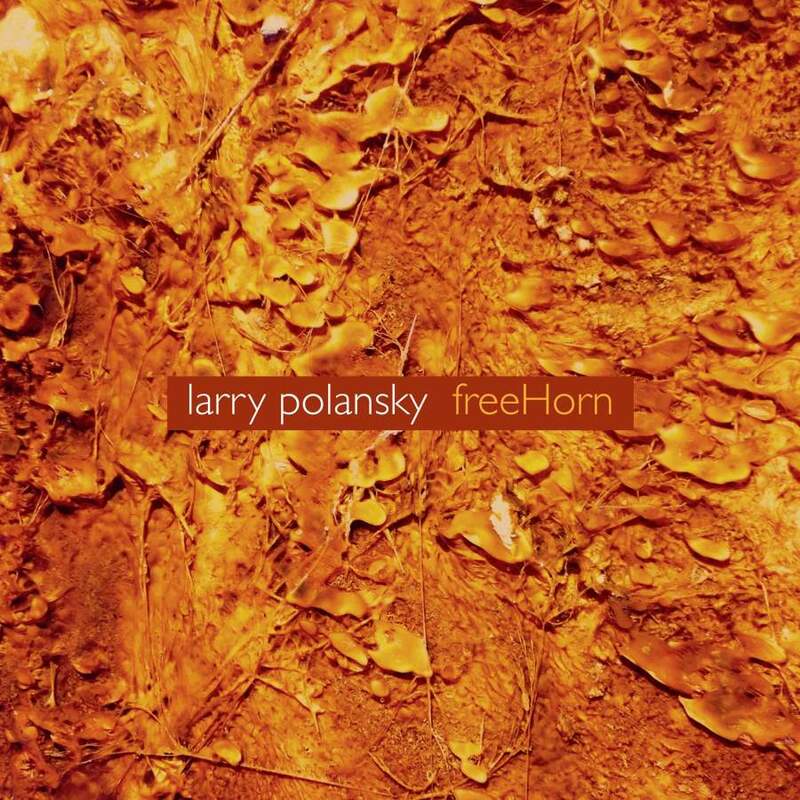 And so we encounter today radical tonality ambience and another worthwhile Cold Blue EP (Cold Blue CB 0049), this one by Larry Polansky. It is called freeHorn after the 20-minute title work. There are three works in all. Common to the entire program is the electric guitar and fretless electric guitar of Larry Polansky and Giacomo Fiore. It is "freeHorn" that stands out as the most elaborate and satisfying of the three works. The two guitars meld with a chamber ensemble of computer audio, tenor sax, horn, trumpet, piano, electric violin and cello. It involves as the composer describes "a continuous modulation between three different harmonic series" as set up and followed by the musicians via a computer audio roadmap. It sets up a drone and overtone backdrop that does suggest the natural sounding of the horn and its overtonal realization of the pitches it produces in a pre-tempered unforced sounding. From the ongoing hum of fundamental and overtonal constancy are the punctuations of the chamber instruments that reinforce now one, now another, now eventually virtually all possibilities of a harmonic series and in the process creates vivid sound color templates while moving from harmonic series to other harmonic series. It mesmerizes and then intrudes with details that then recede into the harmonic smear. Altogether the work makes present a thing of atomized beauty joined together by the adhesive of a gestalt totality, if you'll pardon my verbose suggestion..
"ii-v-i" works within a three-part modulation as did "freeHorn," only it is the fretless and fretted guitar that work with soundings and broken arpeggiations while the modulations are made possible by retunings of the strings as the performance moves forward. It fascinates and gives us pronounced motion in the minimal chamber combination. "minimaj" concludes the program. It is Polansky's recomposed/arranged version of Carl Ruggles's "Angels" for guitar(s). There is pronounced contrapuntal-harmonic movement. It is a very lovely way to end the program. 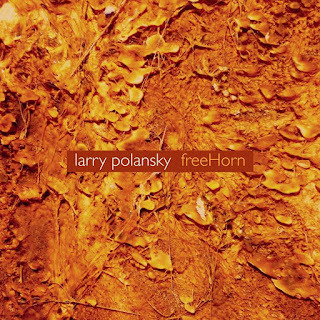 "freeHorn" is the main event yet the other two works reveal an equally sensuous immersion in sonic sunshine. I cannot and will not tell you what to buy, what to hear. I do suggest with a big smile that you allow this music to enter your life. It is not quite like other things being made today, and all the better for that. Another Cold Blue gem is this one. Debussy, I imagine everyone knows who reads this, was a supreme colorist and poet of the symphonic idiom. He demands an equally poetic performance to allow the music to breathe with life. Judging by the release at hand Michael Tilson Thomas and the San Francisco Symphony are up there among the greatest living exponents of such music. They get a good workout with this disc of Images pour orchestre, Jeux, La plus que lente (SFSmedia SFS069). The 24-bit audio shines with great resolution and projection. Images is a good a test as any work from the master of light and shade. The liquidity, folk limpidity and folk atmosphere of the music should be brought out without too much passion, with a careful attention to a wholeness that rises out of the ever-shifting orchestration. 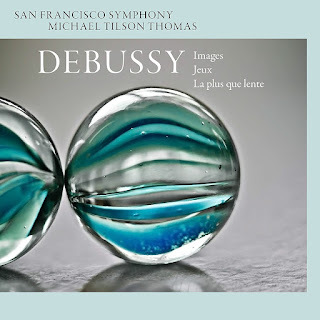 Thomas and the San Francisco Symphony give their undivided attention and artistry to it all, with the result landing us into magic territory. They do complete justice to the music, which lets us feel each image in broad relief. Jeux gets faithful attention from its ravishingly mysterious opening to its athletic yet luminous core. La plus que lente is not quite as often performed as the other works here. The schmaltz factor is more integral to this short work yet Thomas and company avoid the temptation to indulge too much in the affective element. Just enough. The pristine audio and superbly balanced reading of this music captures Debussy's considerable atmospheric charm in as faithful a way as I've heard. Anyone hankering for new versions of these works are well served, as are those seeking a very characteristic performances of someone relatively unknown to them. Highly recommended and a pure pleasure to hear. If I get to this review a bit late it has nothing to do with the quality of the music. Chance and the scrambling of my personal life are to blame. In order to make an omelet, one has to break a few eggs as NY Mayor Wagner said many years ago. And if you break a few eggs while you contemplate what kind of eggs you want, it may not end up as an omelet. So we go. Pianist Momo Kodama is a beautiful force for contemporary pianism. The music reverberates with resolve and intention, like a well planned omelet, so to say. She comes through strikingly on her recent album Point and Line (ECM New Series 2509). She juxtaposes in enlightening fashion Debussy's celebrated "Etudes Pour Piano" with Hosokawa's somewhat less known but very compelling "Etudes I-VI for Piano." One might assert that Debussy's etudes are more line oriented while Hosokawa veers toward the point, but not exactly. Both make use of point and line. Hosokawa at times is more the abstracted modernist whose points of pianistic articulation contrast with a more horizontal spreading out of line-points with Debussy. Again, though, you end up thanks to Ms. Kodama experiencing the all in the all, the line-point enactment differences and similarities contained within each. In the process the sheer sensuous beauty of the Debussy shines forth without a lot romantic effusiveness or blundering passion, as perhaps we have heard all-too-often from even the most distinguished performers in the past. No, Ms. Kodama gives us a remarkably focused, dreaming, precise yet limpidly poetic performance that allows us to experience at a leisurely pace the incredible projective aura of the music as Debussy set it down so many years ago. It was a great idea to intermingle the Debussy and the Hosokawa movements one against the other. The not-so-familiar Hosokawa becomes an active contrast to the very familiar Debussy as point and line each vivify the other. 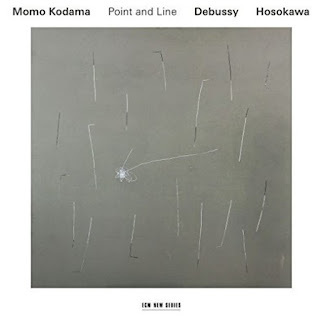 Momo Kodama performs the Hosokawa with the same poetic care and in the process spells out the wonder of this more abstracted music to make both approaches live and sing to us one against the other. As you listen, and then listen again, there is a crystalline clarity to it all fitting to this season (or for that matter any season). I must say Momo Kodama brings alive the Debussy with a sincerity that rings true. She has given us one of the great performances of the work, I have no doubt. And then the Hosokawa both heightens and extends the pleasure of the moment in ways one cannot have anticipated but feels in time as totally right, nearly inevitable. This is essential! Do not doubt yourself. Just hear it! 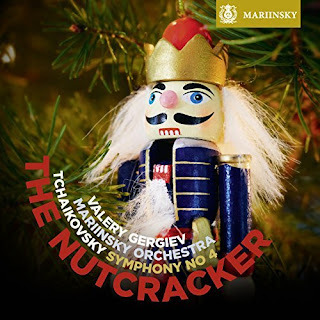 When I was a little kid, my Dad knew nothing much about classical music, but he did know Tchaikovsky, so we had an LP of the New York Philharmonic doing his 5th Symphony, and then around the holidays we had a recording of the Nutcracker (the Suite, actually) and he put it on every year. I was completely taken by it. It is a great last minute gift for someone on your list, or for that matter yourself. The music is handled with love and respect. There is a rather glorious sonority and the warmth of an excellent analog production. And of course there is perhaps no better way to experience Tchaikovsky's remarkable melodic gift. I grew up when shiny new LPs were an integral part of the holidays. So it takes me back. But then I have never abandoned vinyl, so there is a place for it in my stacks. The point though is you. If you have a turntable again or you never did NOT have one, it is equally welcome. It easily fits in with your celebratory home rituals, whatever they might be. So grab it if it sounds right for you. There is nothing comparable in the modern new music literature to the later music of composer Allan Pettersson (1911-1980).. Like his compatriot Ingmar Bergman, he had a rather somber, even gloomy vision of the expressive arts, being the symphonic counterpart to Bergman's films in spirit. Pettersson himself draws the analogy in "The Song of Life." More on that (the video) in a minute. As I've argued for some time, we allow and even embrace the darkness of mood of filmmakers (horror, Bergman), playwrights (tragedies...what could be darker than Sophocles' "Oedipus Rex?") and visual artists ("Guernica") where we have less tolerance for such things in music.Why? Pettersson's later symphonic music has come under some fire over the years because it expresses undoubtedly in musical terms his frame of mind during his protracted period of suffering from a very painful illness. Some say it is self-indulgent. What is indulgence if not self expression, an aesthetic aim he had in common with all the "greats"? And it is noble and greatly dramatic music! The Symphony No. 14 was one of the very last works, completed in 1978 (along with his 15th and the Violin Concerto). As such it is a culmination of his later style, a sprawling, single-movement work that stands at times at the very edge of tonality with chromatic melody lines that stretch endlessly forward and have some relationship to his ongoing pain and frame of mind of his last years. Yet if we did not know that, the music would still give us pause and speak to us eloquently. 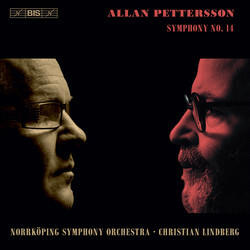 So we have a recent recording of the 14th (BIS 2230 SACD) in the remarkable series of Pettersson's Symphonies by the Norkkoping Symphony under Christian Lindberg. The SACD sound quality is excellent, as is the performance. And the 14th is quite the seminal work, encompassing everything that late Pettersson was all about. It is most definitely not chipper fare, yet there is transcendance. All the suffering undergoes transformation by the very nature of the symphonic medium. The orchestra is large, the music beautifully unrelenting. Is this akin to Bruckner in hell? Not exactly. The expansive sound has something far beyond Bruckner, yet has a hugeness, an epic grandeur not dissimilar. Pettersson's scoring for flutes, French horn, and above all the strings has a heroic quality and often enough seems central to his expressionist project. Think of Bruckner's scoring of the horns over a thick carpet of strings and you might find it enlightening. Pettersson is one of the 20th century's most enigmatic composers, which is saying a great deal since enigma is an important part of the modernist project at times. He is irreducible to the modernism of his era, yet decidedly a parallel to "mainstream avant garde" music as represented by others in the later part of the century. The 14th and its performance here is definitive Pettersson, an ideal point of departure if you do not know his music, and an affirmation for those that do. A wonderful bonus is the DVD included in the release--the very informing and moving video "The Song of Life," a lengthy series of conversational interviews with the composer from 1973-80. It is essential watching. So take a plunge with this one if you can. Excellent in very many ways! The advent of women among New Music composers has obtained a steady-state condition. There was a time when Ruth Crawford Seeger, Amy Beach and perhaps a handful of others were all we were aware of. That has changed. There are many now. And there is much good to hear, thankfully. We have another worthy one in Augusta Read Thomas. 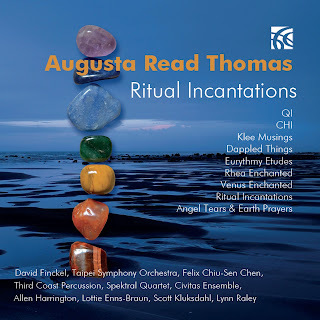 Other than an anthology that includes Thomas (by Alarm Will Sound in a May 19, 2016 review here) I have not discussed her music much and have not experienced it a great deal until the present new release Ritual Incantations (Nimbus Alliance 6355). I notice from the CD booklet that there are at least six other Thomas CDs on the Nimbus label. 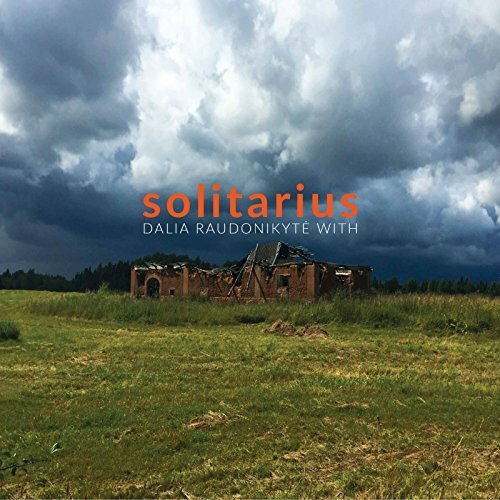 The current release provides us with a varied program of compositions, from solo piano to choral to symphonic. Five of eight works are in world premier recordings. Throughout one gets the impression of a lively and inventive musical mind at work, a modern contemporary composer that seeks a sort of middle ground between traditional tonal and high modern possibilities. That the music is unself-consciously lucid and unpretentiously expressive is perhaps the first thing I noticed on listening. There are too many varied compositions to comment upon in detail in this space. Suffice to say there is a memorability and worthiness to them all. The title work for cello and orchestra is the most ambitious, but there is much to be appreciated in the entire program, especially in "Chi" for string quartet, "Klee Musings" for piano trio, "Dappled Things" for male glee club, and "Eurythmy Etudes" for solo piano. The 1999 through 2017 provence of the compositions allows you to follow Ms. Thomas' development over time. The performances are uniformly good. 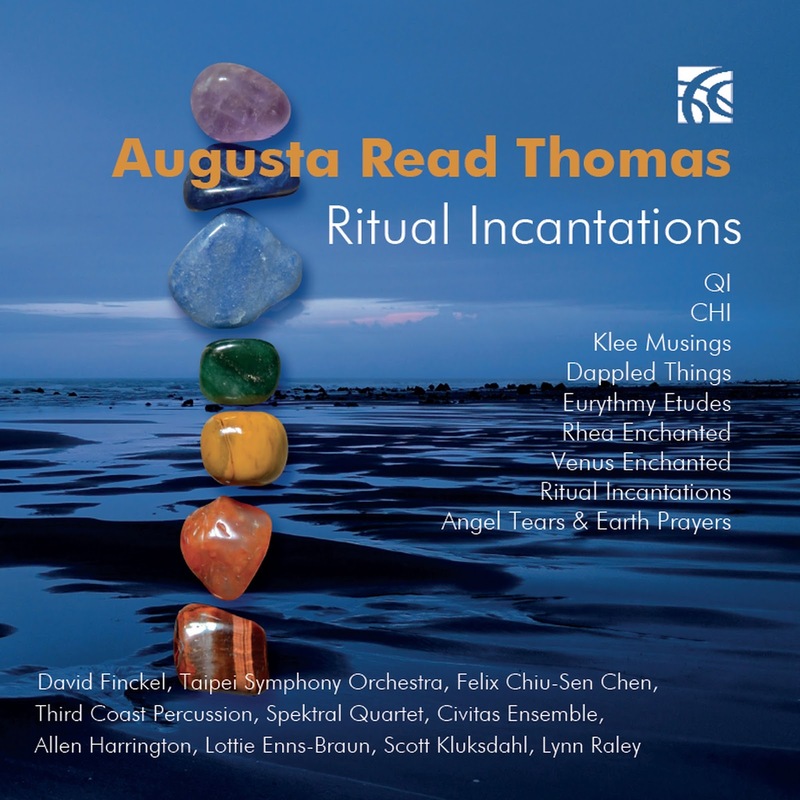 All in all Ritual Incantations gives us a varied and rewarding glimpse of a composer of true merit. I do recommend you hear this one. Of all the so-called minimalist giants of the music, Terry Riley by now perhaps has strayed the furthest from the trance-repetition he had so much to do with establishing on his celebrated "In C." With this new recording (Naxos 8.559739) of two works from 2011 and 2013, respectively, a "new" Riley emerges definitively, though one might argue (correctly, in my view) that it has been there for a long time. None of that should deter us from the music on this new CD, which occupies its own space without looking backwards. 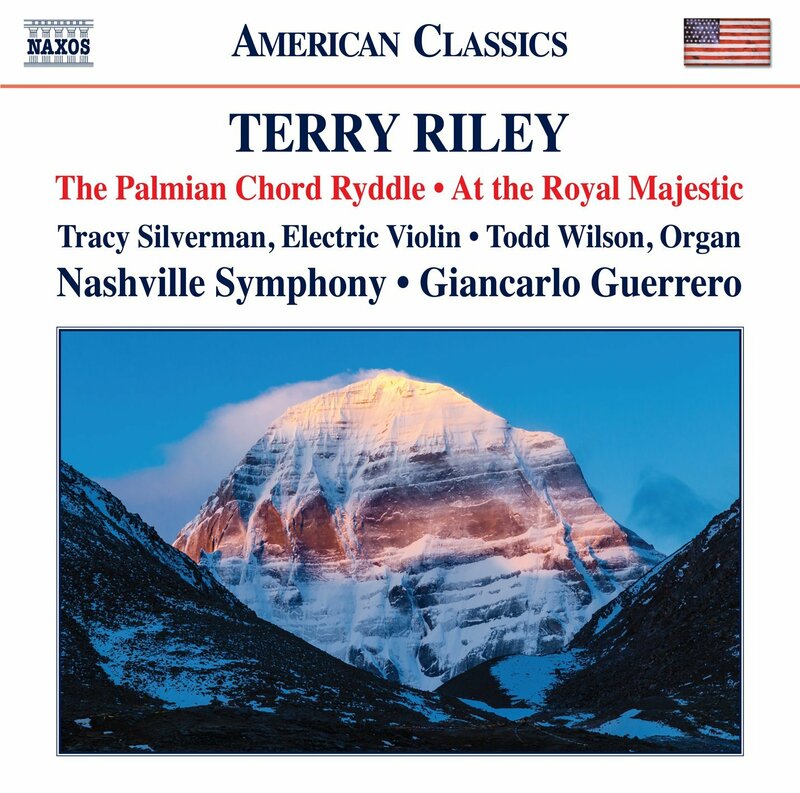 Each of the two works centers around a soloist in interaction with the orchestra, Tracy Silverman on electric violin for "The Palmian Chord Ryddle," Todd Wilson on organ for "At the Royal Majestic." The works are not so much vehicles for some super-saturated solo virtuosity, though both players are called upon to engage in complexities. The space between soloist and orchestra is more in the nature of a close collaboration, with musical togetherness the aim. Turning to the works themselves, we hear the essence of Riley in spite of change and evolutions in style. After all, Riley excels at fashioning beautiful lines which intermesh together brightly. That is as much true of the new works as it is of "In C."
Here the lines interrelate but not in some strictly processual sense, they may repeat but then they develop in more symphonic ways than orthodox minimalism posits. And then there can be a glorious sort of anarchy as well. "The Palmian Chord Riddle" (2011) is in seven short movements, beginning with a classical Indian feel in the long lined beginning but then developing outwards into a fantasia of possibilities where violin and orchestra dialog together expressively and at times in mysterioso fashion. It is after all a riddle, so the work you do to follow the music makes possible your own "solution." It is music that has idyllic mystique and event-a-mental drama and unfolding. The main motif winds its way through the music, reappearing with shifting contexts and continual redevelopment and contrasting counter subjects. It all makes for fascinating and ever more absorbing listens as one gradually grows into the musical flow. "The Royal Majestic" (2013) has initially an old jazz riffing feel, especially in the organ. It repeats and evolves like a boogie-woogie only in Riley's mischievous and cosmically open hands. It goes outwards like a boogie-Bach projectile launched into space. The three movements take note of, conflate and deconstruct-construct a bluesy sensibility and subject it to all manner of musical clearings, throat clearings, spacious energy custers and even a kind of tip of the hat to old standards jazz. All this has some sort of relation to Foss's final movement to his "Baroque Variations," or I can hear it as a rejoiner, anyway. It may just be the dynamically ubiquitous nature of the organ part amidst wonderful clangor and tumult that jogs my aural memory? And then there is a further movement outward like a Sufi-esque spinning gyroscope encompassing related pulsars of pentatonicity! A rather wild repartee to the opening work. And a pandora's box of possibilities coming out of the one. It is like Riley has become impatient with the orderly unfolding of something like "In C" and instead allowed the paint box of inspiration to spill and splatter its way into new, unexpected forms coming out of forms. Trust me. Listen carefully, repeatedly. When the program ends, I have the urge to hear it again. It is like Mona Lisa's enigmatic smile. It is clear what is there but not at all clear that there is some simple, grounded answer to the "riddle." Guerrero, the Nashville Symphony, and soloists Silverman and Wilson do a bang-up job presenting the complex mosaics of the two works, refusing to simplify but instead giving all due weight to what Riley has put before us. It is like a Zen rock garden--only in time are you aware that each grain of sand within is both similar and yet very different on close inspection. Sameness and difference are thrusting themselves at one another in this new music, in some ways like a super particle collider in slow motion, so that nothing has a simple provenance to anything else. That is delightful to me and I listen again and again to find more that is new and emergent. I do love that feeling of casting adrift and putting yourself in the music's hands. Join with Riley in this journey, too. It holds a solution. It does not matter to what! It was in our lifetime that Mahler went from being a rarified taste to the Late Romantic poster child. Richard Strauss used to be that, hands down. Now he is more in eclipse I suppose you can say than in 1950 or so, when he was at a peak in reputation and popularity among typical classical listeners. At least that is my impression. Mahler's symphonies are defining and constitute a personal journey through a world he was very much a part of as conductor yet very much an outsider as Jew and innovative force, an enigma as a composer to those at the time and up until recently. Increasingly we listeners value those works and find they speak with a voice we can understand and relate to, at long last. And Strauss has become more marginalized. It did take us a while to get there, myself among them. As much as I've appreciated Mahler's Symphony No. 8 over time, I have connected only tangentially to it on a personal level. Until now. Thierry Fischer directs the Utah Symphony and the Mormon Tabernacle Choir in a brand new recording (Fresh! Reference Records FR-725CD). There is so much to the 8th that it can fail to hang together unless you experience it as a whole. And it is true too that a conductor and performance may also lack the sort of dedicated unity it takes to put the parts into a whole. The nickname "Symphony of a Thousand" certainly underscores the challenge of harnessing the strength of the massive forces the work demands. I have heard versions that sound a little bloated or lacking a center of gravity. No matter. 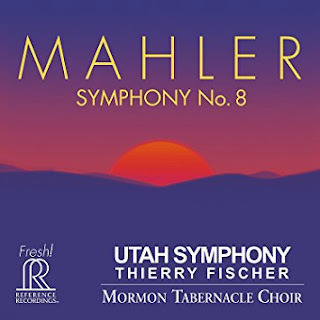 Fischer and the Utah contingent meet the challenges and bring us a single-hearted reading that perhaps is less Wagnerian (a problem with some readings) than Mahlerian, less strictly giganticistic and more focused than some. And the SACD audio most definitely helps pull it all off as brilliant listening. When we realize that late Mahler is not precisely the same as earlier Mahler, that there is less of the folk-sarcastic idiomatic and more of a kind of Romantic centrism, we also should attend to the fact that there are many parts, if not most parts that give us an evolved expression wholly Mahlerian. So we can begin to forget the earlier style when listening and embrace what is there. It is no longer exactly local, Vienna and surrounds as filtered through Mahler's place in both center and periphery. It is looking outward to a larger world, perhaps. As so he would also end up in New York. That takes a careful reading, a balanced sounding of the whole of the score. We get that here. There is an ecstatic sadness to Mahler at times that doesn't entirely conform to what you expect to hear from a symphony master, a level of regret that the 8th has at its core. The beauty is tinged with a kind of transcendent melancholy, especially in the middle movements. And this Fischer-Utah recording is all the things that the 8th has in such abundance, a remarkably balanced, detailed reading that is huge and ecstatic when called upon to be that, and then lingeringly introspective and regretful, yet beautifully evocative when that is in order. The 8th has never been a favorite with me. But I can say now that it no longer seems so anomalous to me, thanks to this fine rendition. Mahler represents one of the glorious last gasps of another age, yet also the later music is mindful that his time is at an end of an era though he had progressed beyond the tradition and had flowered as very much a brilliant original as much as any composer of our times. I must say that I heartily recommend this recording. There may be better versions out there. There are no versions I have heard that I like so much. On today's 2-CD set CC (NMC HCR16CD) we get fine interpretations of two important American New Music High Modern works, one a mainstay classic, the other something brand new. Both are for chamber orchestra, performed with dynamic grace by the ensemble Apartment House and piano soloist Phillip Thomas. 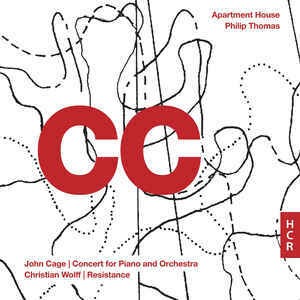 The works fill a CD each and consist of John Cage's iconic "Concert for Piano and Orchestra" (1957-58) plus Christian Wolff's "Resistance" (2017) in its world premiere recording. The "Concert for Piano and Orchestra" performance presented here is one of the very finest, rivaling the 1972 recording by Ensemble Negativa released in Germany as part of the now quite obscure LP set Music Before Revolution. The current version takes up a full 53 grand minutes. It has been built from 84 separate "notations," various sets of codes and instructions for specific aural soundings in the "Solo for Piano" part, intended to be performed alongside of the separate orchestral parts, each a kind of solo performance which then in amalgam becomes the work as a whole. It exemplifies and embodies indetermination in the choice of musical texts, the enjoinment of each player to chose texts or abandon them at will, and the "clock hands" of the conductor, which speed up or slow down the progression of the music at the conductor's aesthetically spontaneous whim. The texts chosen for this particular performance differ from previous versions in that there is a combination of previously used notations and new reconstructions as well. So this performance is in effect one-of-a-kind, as every one is designed to be. The result in the right hands is a landscape of synchronies and dis-synchronies, sound punctuations out of silences for 14 instruments plus piano soloist. Apartment House comes through with a beautifully creative sound-sculpture-in-motion. It is a superb reading. I react like I did for the Ensemble Negativa version when I first heard it, with the idea now firmly held in my head that "John Cage doesn't have to sound like s--t!" Indeed it sounds like what happens when musically sensitive instrumentalists are let loose and allowed to commune with the structural demands of wisely aleatoric Cage. The new Christian Wolff work that comprises CD2, "Resistance," sounds quite different as it was meant to. The work was commissioned by Apartment House for performance alongside Cage's "Concert." The instrumentation used here is the same as for the Cage, though the composer allows for a greater sized ensemble according to various specifications. Keeping to the same ensemble size helps us compare the two works directly and makes them each fully a part of the set. The piano part is a constant and like Cage, Wolff juxtaposes variously notated and aleatorically variable texts. The sound is denser, perhaps slightly less abstract, and filled with intersections and running contemporary phrasings that are less dryly monumental than the Cage. In any case the musical results cohere and sound well as an exciting New Music excursion. Taken as a whole or considered separately, both of these performances and the musical instructions and specifications that make them possible become very much high modernism at its finest and most intriguingly open. The Cage is a masterpiece of its time and Apartment House do it benchmark justice. The Wolff most certainly seems like a masterpiece-in-the making. Anyone who already embraces high modernism encounters an essential, indispensable release here. Anyone who wishes to take the plunge into the new sounds maelstrom might well start with this! Do not hold back. Get it! The program includes concentric works for solo clarinet, for alto saxophone and electronics, for piano solo and for solo guitar. Centerpiecing the sequence is the searching "Grues et nix" for string orchestra, which contrasts with the solo fare and shows a fullness against the solo open sound dimensions of the surrounding works. In Early Music, you can freeze a moment in time, and if you lovingly reconstruct the moment and the moment is a good one there can be magic. Fretwork, His Majestys Sagbuts and Cornetts, and the Magdalena Consort take a passing but valuable moment in the English Pre-Reformation, freeze it and reconstruct it with stunning sonance. 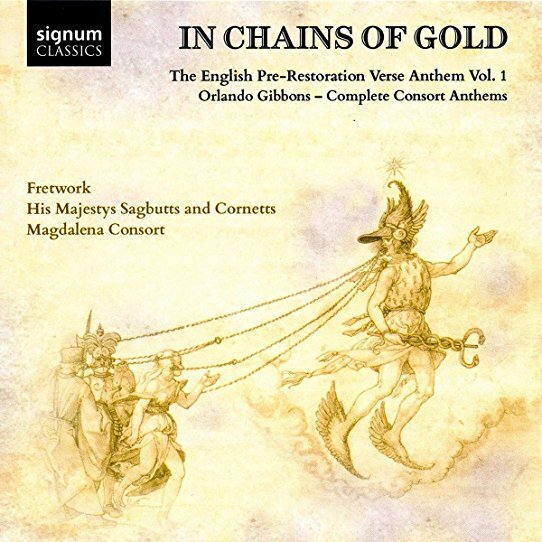 And so we have Orlando Gibbons' Complete Consort Anthems as Volume 1 of The English Pre-Reformation Verse Anthem, In Chains of Gold (Signum 511). The music is performed with period accuracy and vital enthusiasm. The title comes from a 1597 text by Thomas Morley, where he expresses the desire for a choral ensemble that "draw[s] the hearer...in chains of gold by the ears to the consideration of holy things." Gibbons' Anthems provide ample means, an eloquent contrapuntal, mellifluous vehicle to allow the choral Magdalena Consort a way clear to some profound, earthy heaven of music. They and their instrumental cohorts give us every reason to appreciate this music in all its specific period glory. The vocalist are beautifully central to this fine program. They articulate each part with a kind of period purity that brings out the ravishing starkness without artifice, a sweetness born of immersion and singular focus. The brass ensemble has great color. It punctuates and gives breath and breadth to the soundings when it is present. Harp and organ plus five viols add sonorous depth and a special glow this period music attains when allowed to return to its proper instrumentation and method of delivery. Gibbons has in the past suffered from lackluster and inauthentic performance practices. You might say that of much of the vocal music of similar time and place, certainly in the period of recordings from say 1950-1970. But Gibbons enchants when he is allowed to sound as he wished to sound. The Magdalena Consort and accompaniment give us every reason to grasp and embrace the unfrozen moment of music we may have been in too great a hurry to stop and truly appreciate until now. We have a rare opportunity here to stop the rush toward ever changing teleology that music history can often be. It matters not for the moment what came before, what came after. We are invited to savor the beauty of what once was for a time only, yet speaks to us now without a need to put together before and after. That is what the Early Music movement does at its best. The Consort and assembled musicians give us ideal readings. It allows us to experience what once was in ways that embody yet transcend a time long gone. Kudos! Any adventuresome listener, archaist, or wide-eared adept will find this program enlightening and enrapturing. Highly recommended. The two LP versions of the concertos long established themselves in my mind as benchmark performances that set the standard and defined for me what these works are about. As glorious as these old recordings are to me, I have in no way closed myself off to new interpretations. 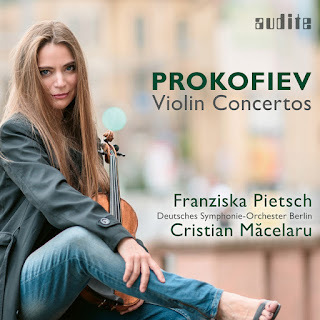 I am very happy that I asked to review the new recording of both concertos as played with brilliance by Franzisca Pietsch and the Deutsches Symphonie-Orchester Berlin under conductor Cristian Macelaru. If you are a music devotee like I am, the Christmas (Holiday) Season has its ups and downs. If you think about it, there are maybe 30 carols and songs that get recycled every year in all sorts of ways. And now in the States from before Black Friday on there are increasing numbers of TV commercials that make use of the music in annoying or less annoying ways. Regardless, the sheer repetition of any number of them might start to give you brain hemorrhages or other states that have nothing to do with visions of sugar plums. Admittedly there are many songs I can hear year after year in the right versions, but over time I also have welcomed new fare, such as holiday oriented jazz, folk songs, music from other national traditions, repertoire from the Middle Ages and the entire catalog of Christmas classical possibilities. So in that way I welcomed in the mail recently something totally new, namely John Turner's Christmas Card Carols (Divine Art 25161). Most happily it features the strikingly sonorous vocal ensemble Intimate Voices under Christopher Stokes. They sound positively angelic here. 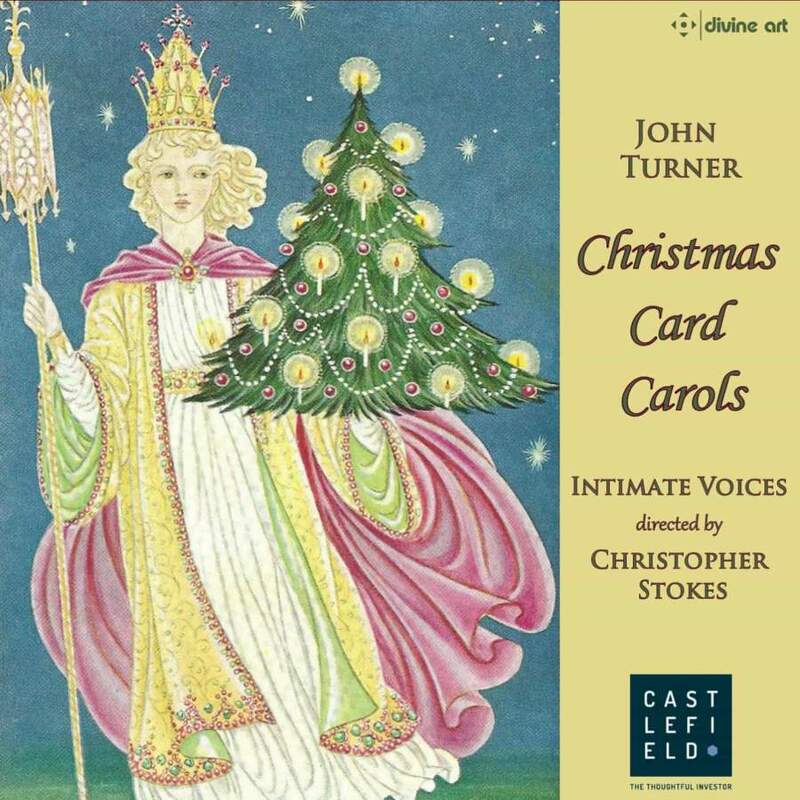 The premise for John Turner was to compose some 23 new carols, essentially based on familiar texts, some going back centuries. So for example we get an altogether different musical treatment of "Away in a Manger," new yet somehow fittingly related in overall melodic thrust. The music has a bit of contemporary harmonic spice to liven up our holiday listening punch. Yet what hits me is that the music remains strikingly in the carol tradition, sophisticated choral songs that supplement the usual diet of chestnuts (on the open fire or cracked) with well written and tuneful works that do not relate to the many popular songs that have entered the pantheon in the last 100 years. Instead these are timeless, a kind of alternate to the 400 years of Christmas season gems, as if in some parallel December season on another unknown continent a group of Euro-American-based settlers there grew another body of traditional songs. It is welcome addition, a rich broadening of available carols, written today but with pronounced early-music-and-beyond glow suffusing the whole. The caveat to all this is that you the listener cannot casually throw this on the player and expect instant recognition. This is New Music and so you are expected to spend some time and get to know it all. It takes a little, quite pleasant work to put this music into your holiday listening block. Once you give the album a few preliminary auditions, the music will I hope seem to fit in nicely as a refreshing alternative to 50 versions of "Jingle Bells" and "Silent Night." Anyone of Classical choral bent will find this album refreshing and substantial. And until this music becomes part of the commercial onslaught of would-be advert jingles it is yours and yours alone to hear when you choose. It will be a while before Wal-Mart starts piping this music into their stores, if ever. Warmly recommended as a beautifully performed set of brand new yet ageless carols! Give it your ears if it sounds like something you would get wrapped up in like a surprise gift under the tree. Your listening mind will be a new present to yourself! I almost never do something like I am doing here. That is, I never repost an earlier posting without some exceptional reason. It so happens that this recording has been nominated for a Grammy Award for Best Classical Compendium this year. I strongly endorse this set as an exceptional contender. I hope it wins for all the reasons set down below. I was tangentially a part of a Facebook thread yesterday. Implied was a question: Who listens to New Music these days? One answer is that they are generally the same audience who listens to classical music in general. Often enough that is true in the concert setting, given that a contemporary work may be a part of a program along with older classics. In the matter of those who purchase New Music recordings, it still can apply. However, there also is a group of listeners who respond more exclusively to the new and avant but do not necessarily collect and get into the earlier classical music. They are a smaller group. They may listen to advanced jazz, rock, and/or world more than Bach. This blog caters to both and manages to get a respectable readership out of the two camps. I of course appreciate the patronage. When it is a matter of today's offering, either group might be well served by the contents. It is an important release from a composer who has gotten attention over the years as a major figure in the New Music, Gyorgy Kurtag. Today we have a worthwhile compilation of three-CDs: Complete Works for Ensemble and Choir (ECM New Series 2505-07). It is an all-encompassing collection of compositions by the Hungarian high modernist, nicely recorded and very well performed by soloists, guests, the Asko/Schonberg Ensemble and the Netherlands Radio Choir under the guidance of conductor Reinbert de Leeuw. The recording of the numerous works on this set was a labor of love. De Leeuw has performed each of these a number of times in the last twenty years. The master recordings for the set took shape from March 2013 through July 2016. Gyorgy and Marta Kurtag were intimately involved both before and after each session. Their detailed evaluation of each result sometimes led to De Leeuw's re-recording of some of the music, both sections and an entire re-performance as deemed necessary. The results met the full approval of the Kurtags and so the music stands as a benchmark for performances to come. Only a thorough personal immersion in the recordings make that plain. Kurtag is not a composer easily categorized. The reasons for that are not hard to find. His music covers a wide swath of possibilities, both in a high modernist and near-tonal realm that ever bestirs in new configurations, dramatic ebbs and flows, sheer power or reflective unwindings. The wealth of works cover a long span between 1959 and 2011. Most fall somewhere in the middle years. Not all include the choir. The ones that do show a natural feel for musico-vocal-instrumental declamation. The purely instrumental works are filled with color and a shifting focus on ongoing event structures. Some eleven works make up the totality of the program. I come away from the set with a strong attraction to the music and a feeling that we are in the presence of a living master of true importance. A work-by-work breakdown of what is present might have a tedious quality for the lightening engage-and-move-on readership here on the net. There is just too much and because of the original quality of Kurtag's music it would take many paragraphs to do justice to what we get. 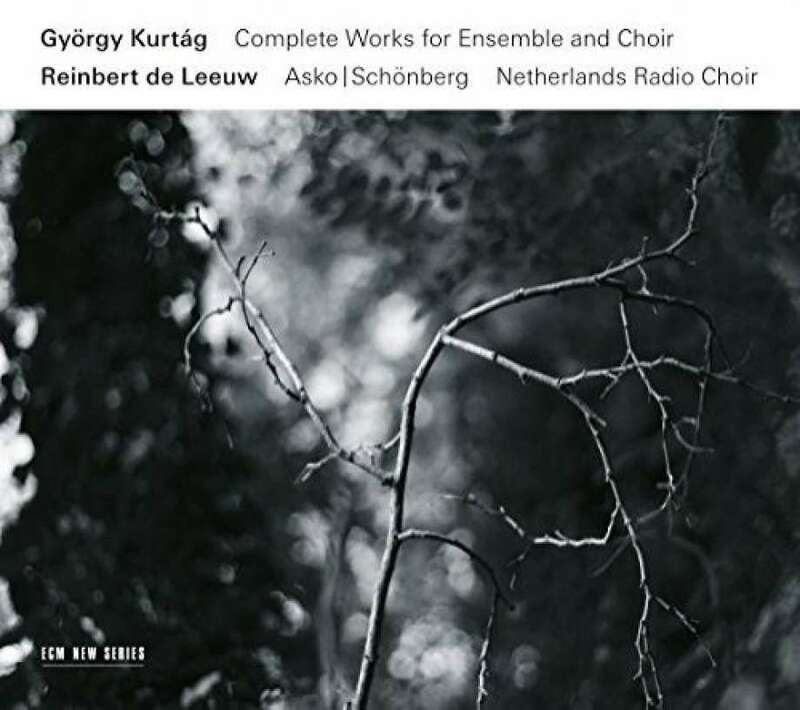 Instead, I will say that this set underscores the unvarying quality of Kurtag's music, as it sets you on a riveting journey through the thickets, the broad panoramas, the high mountain peaks and peaceful valleys of what makes Kurtag so absorbing and worthwhile. Spend time with this set and I suspect you will, like I have, get a distinct tingle of satisfaction. Highly recommended. One of the signs that a CD is beyond categorization is when I have listened to it numerous times and I still can imagine posting a review of it on any of my three music blogs. 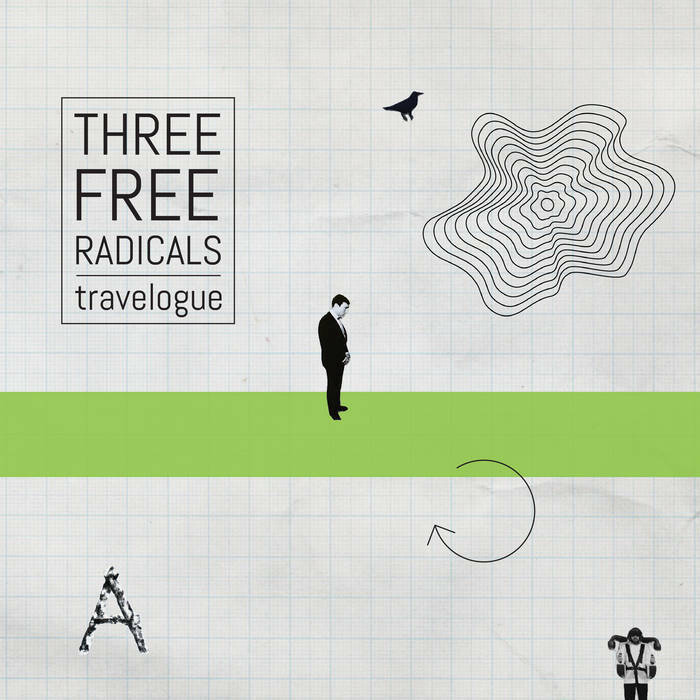 Three Free Radicals and their album Travelogue (Improtest Records CD011) most definitely qualifies. It is a series of pieces put together by Scott L. Miller on the Kyrna Electronic Music System and Mart Soo on electric guitar and electronics. A very distinguishing factor in this eight-work program is the acute sense of sound design that Scott and Mart bring to every excursion. I have followed Scott L. Miller in this wise happily and in tandem with Mart Soo there is a pronounced sonic sense that makes every track stunning and notable. Improvisation is an element in the creation of the music, quite apparently. And with the guitar and electronics mix you sense elements that quite arguably attach the music to Ambient Post-Psychedelic Avant, Improv and New Music-Electronic Music realms. So there are elements that have some connection to Fripp and Eno ambiances, or the free ensembles of Stockhausen, Musica Electronica Viva and in the end a significant originality and an acute fuzzy logic of means. One feels often throughout an extraordinary binary mix of processed guitar sounds and either vividly contrasting or intermingling electronics. 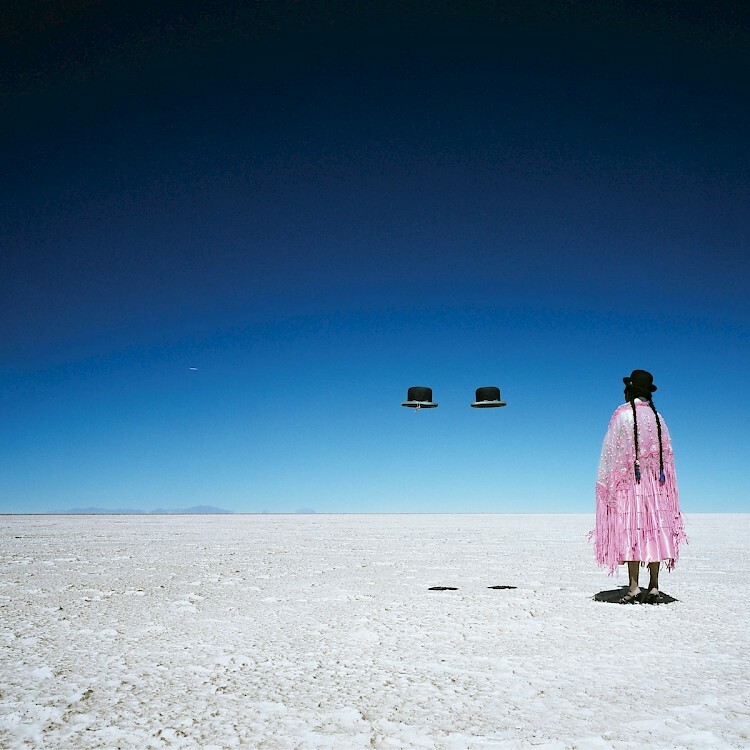 The result is more spatio-tapestry oriented than formal, and that fits with the idea that the music does not fit comfortably into a rigid genre classification. The more I listen, the more this music speaks to me. It hangs together as well as any New Music-Electronics excursion I have had the pleasure to hear this year. To my mind Scott L. Miller is a true force on the avant-ambient scene and Mart Soo makes equal sonic sense on this very attractively spacey offering. The sounds are ever golden and ever evocative. Highly recommended no matter where you stand on present-day modern matters. Give this music a chance and you will be transported, beamed into realms you can drift within beautifully. American composer David Del Tredici (b 1937) went from a Modernist to a founding Neo-Romanticist of the present-day beginning in 1980, when he won the Pulitzer Prize for the first part of Child Alice, which he completed with a second part and so put it in its final form in 1981. Soprano Courtenay Budd, conductor Gil Rose and the accomplished Boston Modern Orchestra Project give us a dramatic and rousing reading of the entire opus on their recent recording (BMOP Sound 1056). I will admit that in my first few auditions of this fine recording I resisted the all-pervasive centrality of the sequential motif that Del Tredici returns to frequently. It seemed at first a little undistinguished. With further listens I began to appreciate more and more his variational, developmental treatment of the subject and the sheer creative power of his expressive thrust. At first too, the great strength of Courtenay Budd's performance seemed a little overwhelming. Perhaps both factors intruded into a mood I was in? I suspect this because the work and performance in time became more and more intriguing to me, and so too my mood had accommodated itself increasingly toward the spell of the work, which turned out to be considerable. This was no mere Wonderland, but instead a complex reaction to the complexities of the Alice story origins. To backtrack, Child Alice centers around Lewis Carroll's rowing expeditions with the young Alice Pleasance Liddell and her sisters Lorina Charlotte and Edith on summer afternoons. In the course of those excursions Lewis invented a series of tales to enthrall the young women. They later took final form in the Alice in Wonderland stories that have remained classics for us ever since they came out. Child Alice on one level evokes the pastoral charm of summer on the water as inspiration, but then also in the inner states of the girls and their narrator. It sets up a sort of dichotomy of receptive youth versus youth-within-bittersweet-age and forms a kind of shifting mood that is neither one thing nor another. All this forms the backdrop for the experience of the music itself, which has as its basis the text of a preface poem to one of the stories--about those rowing expeditions as the precondition of the marvelous fanciful story narratives as filtered through the glowing haze of remembrance. Each part builds around a contrasting setting of the text and includes some fascinating interludes for orchestra alone. 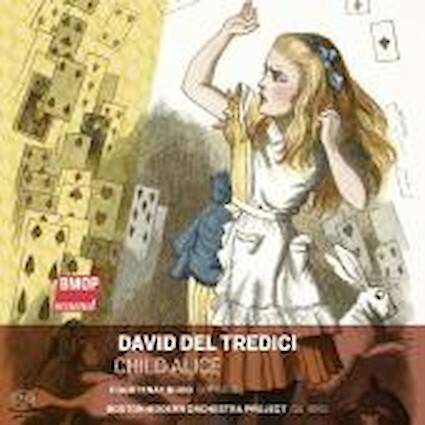 What stands out in the end for me is Del Tredeci's sure hand in utilizing the orchestra's many sonic resources as a sort of framing of the vocal narrative. The complexities of the mood come through especially by the way the composer makes of the orchestra an inner psychological commentary vehicle. So also the Neo-Romanticism we experience in the work is not entirely a return to an earlier way of composing. It is filtered and fractured by the experience of modernity both in musical language terms as well as the complications of living within a modern world with all that entails. So the "through the looking glass" element is not just of Carroll recalling happier summer days past, it is also perhaps Del Tredici's experienced and bitter-sweet view of a tonality that cannot but exist in a post-purity of how we cannot quite recapture a pre-post-wars, pre-Freudian innocence about life and the music within it, about the stories we tell children. My impressions may be slightly fanciful themselves. Child Alice in its expressive potencies invites such feelings. The strength of the work stems from its all-but-simple simplicity, its inability to return to an earlier state in all its pristineness, its existence in a sort of musical recapture from memory as one recalls childhood through the lens of maturity. So at the last Child Alice derives its power from the loss of its subject. It exists on the happy surfaces of the water as well as the ambiguous depths of lost experience within recall. And in that way the music succeeds beautifully by its charmingly faded, outmoded yet wayward return. The music has power and depth that hit me only in time. Performances are near ideal. Any serious listener should find much to contemplate and appreciate if she-he gives this music a chance to work its way within the listening self, you. Anyone who loves the harp no doubt knows and loves its use in modern Impressionist classics, where it can create an ambiance that we continue to embrace. 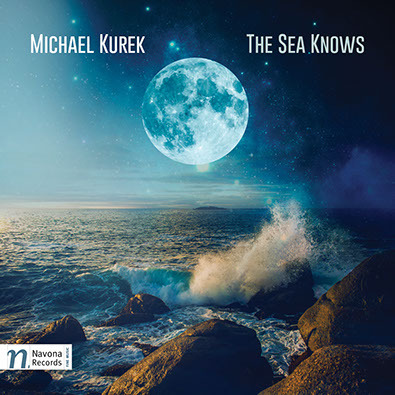 Living composer Michael Kubek has absorbed that sound and made of it something contemporary-tonal on his CD The Sea Knows (Navona 6111). A collection of five Kurek works, the album includes harp on three of the five. It is not the primary focus of the music per se, though indeed an ambient beauty and liquidity associated with the harp is an ongoing feature of the program throughout. Ever lyrical without precisely straying into the blatently Neo-Romantic, Kurek gives to us five evocative works, each varying the mood in part by contrasting instrumentation and in part by thematic rhapsodic variational thrust. There is a descriptive plasticity to the three chamber works centered around the harp, played nicely by Rita Costanzi or Soledad Yaya. "Moon Canticle" for harp alone implies a night sky in its affective presence. "Serenade for Violincello and Harp" and "Sonata for Viola and Harp" flesh out the ambiance with longer formed pensive lyricism. "Savannah Shadows" for violin, viola and cello concentrated on string sonance for extended moodiness. The title work "The Sea Knows" caps off the program with an ambitious and somewhat more spicey rhapsodism for a full string orchestra (Vanderbilt Strings under Robin Fountain) and solo cello (Ovidu Marinescu, who also is on the Serenade). It is here we can especially hear Kurek's professed affinity with Rachmaninoff, Sibelius, Vaughan WIlliams and the like without detecting any imitation per se. In all this is an descriptively ambient program that is modern in its overall thrust, yet affectively tonal in its vocabulary and eloquence. It will please a larger audience, perhaps, than one might ordinarily be attracted to New Music, yet it is involved and musical enough to keep the more demanding listener satisfied. Bravo. Some of the greatest jazz luminaries turned at times to so-called classical, long-form ideas. James P. Johnson and Duke Ellington come immediately to mind. In the improvised world of avant jazz since 1960 distinctions can become blurred, as I have addressed through many examples on my Gapplegate Music Blog, on my Gapplegate Guitar and Bass Blog, and at times on these pages. "The Skies of America" by Ornette Coleman of course stands out as a milestone of such confluences. There are some very important trends on the purely improvisational front as well. I speak of those things in greater depth in other posts. Regardless of the many ways to look at and hear music of a modern sort, one thing stands clear in my mind. That is, that composer-trombonist George Lewis has been making some extraordinary New Music over the years. He is a marvel, an innovative and lucid composer of great importance. Last February 27th I reviewed his fine album "The Will to Adorn." I return today to take a look at another set of his compositions, Assemblage (New World 80792-2), featuring the talented chamber Ensemble Dal Niente. The avant jazz of the present era is many things. One of the aspects is its vocabulary of phrasing, of sound color, of playing and silence. Undoubtedly a key to it is the extension of the Afro-American musical vocabulary inherent in traditional forms. Yet it is true also that there is chalk-talk venn diagrammatic commonalities between its vocabulary and that of classical avant high modernism. If you asked George Lewis himself I have no doubt he would (and does) have much to say in this regard about his music in whatever form it takes. His modern classical compositional stance does create common ground between Afro-jazz expression and long-form new music of high modern provenance. Most importantly he carves out his own personal expressions on this shifting turf with great brilliance, I would say. This is nowhere more true than on the four Lewis compositions featured on this program. In all of it the elemental musical gestures of bowing, drumming (percussing), blowing, plucking, in togetherness or alone, with spaces of tacit presence, and the infinity of confluences are very much the building blocks used to constructing the music itself. How could it not be so? Yet it is George Lewis' expressive joining together of the elements that sets him apart yet makes him an integral part too of the music of right now. So the album's program of chamber works for the ensembles of six, seven, nine or two instrumentalists presents itself to us in ways that bring us a new and personal take on what can be. If there are key centers they are not so crucial as is the full unfolding of a universe of organized sound color and the testificatory push of each work. Each of the pieces makes its way forward as a distinct entity. 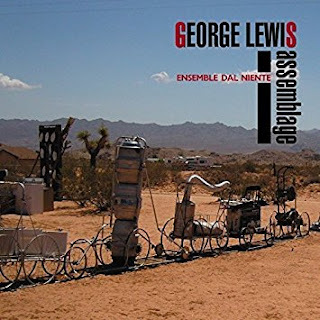 Thanks to the inventive fullness of the Lewis expression we have a special world of sound for "Mnemosis" (2012) for flute, clarinet, violin, viola, cello, piano, percussion; "Hexis" (2013) for flute, clarinet, violin, cello, piano, percussion; "The Mangle of Practice" (2014) for violin and piano; and "Assemblage" (2013) for flute, clarinet, saxophone, violin, viola, cello, harp, piano, percussion. Each has an organic being that stands alongside the others as a unique realization of the Lewis imagination. The performances are outstanding, or at least impress me as fully living and excitingly fluid. I suspect Maestro Lewis was satisfied with the realizations, which at this point is what matters. For us, the listener, there is much to hear and absorb. Each new immersion in the program reveals a fuller universe of sound, a greater understanding and appreciation of what is there. Assemblage reaffirms the true stature and importance of George Lewis the modern-day composer. Those who expect New Music to BE new will gravitate happily to this release. It is very much a music of TODAY and excellent fare that all should listen to carefully and ultimately, if you are like me, joyfully! The song cycle has become somewhat rarified on the New Music front. There do not seem to be so many of them compared to earlier epics. This is no place to speculate on the reasons right now. There are notable exceptions. The song cycles of US composer Dominick Argento (b. 1927) are one. We hear two on The Andree Expedition (Naxos 8.559828), the title cycle plus "From the Diary of Virginia Woolf." Music takes over when speech can go no further, believes Argento, and both of these cycles demonstrate that idea well. They extend the meaning of the texts in ways that speech alone cannot, shading them in pastels and hard-edged outlines, underscoring in music what the words suggest, creating the atmosphere, giving a deeper setting for the story as it unfolds. 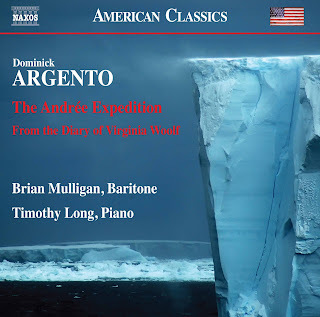 The music in this Naxos edition is performed quite capably by baritone Brian Mulligan and pianist Timothy Long. The pianist is very sensitively attuned to the ever-present commentary and sometimes the dimensional contrast his accompanying role calls for. Mulligan has a highly dramatic approach, which fares especially well in the softer, more reflective sections. When he is at forte and especially above that his is a rather hard sonance. It takes some getting used to. The music warrants it in its extraordinary depictions. In the end though we come for Argento's music. And we get it in all its impactful drama. "The Andree Expedition" (1982) is based on diaries and letters surrounding the tragic balloon expedition to the North Pole in 1897. "From the Diary of Virginia Woolf" (1974) culls eight entries as the vocal text, filled with self-confessional candor. It won the Pulitzer Prize for Music in 1975. The title work consists of 13 songs that relate one to another. The human struggle against daunting odds forms the core of the music and text. A sample from one of the participant's accounts: "It is indeed a wonderful journey through the night. I am cold but will not wake the two sleepers. They need rest. If any of them should succumb it might be because I had tired them out." It is a bleak account of a bleak disaster. The music reflects regret and dilemma in a modern expressionist way. It has a presence that shows Argento's flair for the possibilities of vocal declamation, drawing out the implications and setting them squarely into the music. The singer personifies each of the three balloonists and so gives us a sort of trifold narrative of the unfolding disaster. The Virginia Woolf diary cycle has a slightly different slant, as Ms. Wolfe's inner and outer life come into conflict and create various mood pieces and a creative struggle to harness it all somehow. It complements the expedition song cycle well. In all we get nearly 80 minutes of Argento song drama at its most distinctive. It is at times VERY expressive, and so not exactly light fare to put on as background. Perhaps that is inevitable by nature of the subject matter alone. The music demands your attention, then rewards it. For a modest Naxos investment one gets a provocative introduction to Argento's modern take on the song cycle. That is something very illuminating and moving. All modern song students will get real substance here. Fine chamber works played with the ultimate artistry? It is like an excellent vintage of wine. 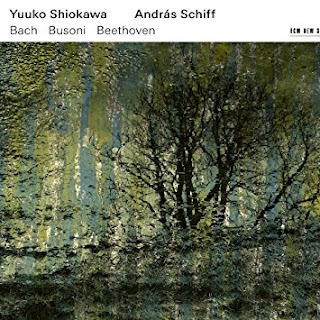 If you know what you seek, you get it at the first taste, so with violinist Yuuko Shiokawa and pianist Andras Schiff in their new recording of Bach, Busoni, Beethoven (ECM New Series 2510). At the first listen you know right away that you are in the presence of exceptional music making. And there is no letup, regardless of how many times you listen. The first reason for that is an unusual and worthy mix of works: Bach's Sonata No. 3 in E major for Violin and Keyboard, Ferruccio Busoni (1866-1924) and his Sonata No. 2 in e minor for violin and piano, and Beethoven's Sonata No. 10 in G major for Violin and Piano. The big surprise perhaps is the excellence of the Busoni, reminding us that he was no slouch, not at all. It is a fine work that fits in well with the sublimity of the Bach and the heroic inventiveness of the Beethoven. And the performances are exceptional without exception. Shiokawa plays it all with a sweetness and light and Schiff responds with equally inspired pianism. The Bach gives notice that there indeed can be a reflective and subtle reading of the beautiful lines of Bach at his finest. There is plenty of mindful feeling in all the performances, but also a kind of transcendence, so that you grasp the feeling yet also join in on the musical journey to ever more subtle concordances. It is a remarkable disc. The music sings away without fail. The compositions are brilliant, each in their own way; the performances as musically profound as you could ask for. This makes a fabulous holiday gift for yourself or someone you care about! Phenomenal. Trevor Babb, Warmth, including Steve Reich, Electric Counterpoint, etc. The idea of new music works for multiple overdubbed electric guitars has surely been in the air a long time. Some of Fripp and Eno's works for guitar and delay in the '70s gave us striking guitar-orchestral density and beauty. The real-time breakthrough of such music for formally articulated multi-guitars can be traced back to Steve Reich's "Electronic Counterpoint," written for 12 prerecorded electric guitars and 2 bass guitars plus live guitar in 1987 and first recorded by Pat Metheny. From there followed other works. Guitarist Trevor Babb performs his own version of the Reich and other guitar ensemble pieces on the recent CD Warmth (Innova 972). The Reich as done is different enough from the Metheny version that it stands alongside, as good or better. That is saying a great deal. Either version reminds us how vintage Reich is superlative, so much ahead of some of the more uninspired minimalism that existed and exists alongside his music as to be altogether other. Some of the imitators are like schmutz in search of a mince meat pie to give them life. Reich is the pie itself, fashioned and cooked to a golden brown, perfect for what it is meant to be.The music stands out now as it did then. Babb gives it that extra new twist and we are back into it like the years have not passed. And the virtue of having a really vibrant version of the Reich alongside other multiple guitar pieces illuminates those works and gives the Reich another context. So we are treated to five other new music compositions for multiple electrics, each one different from the other as they are to the Reich. So that driving counterpoint of the Reich contrasts with sustained guitar new music chorales and ruminative or exploratory guitar richness. We get good things to experience with Paul Kereke's "Trail," David Lang's "Warmth" for two guitars, James Tenney's "Septet," Trevor Babb's own "Grimace" and Carl Testa's "Slope 2." It is in the end a program any electric guitarist of a progressive sort should eat up, and their friends, too, of course. (No, not eat up their friends, I hope. The music!) Yet it is also New Music worthy of the name--something people who ordinarily do not associate with electric guitar sounds, or not modern classical applications of it, will find stimulating and worthwhile. Hear it, do. Richard Strauss (1864-1945) when I was young had reached the very top as far as "modern" ("late romantic") star composers of the day. Bruckner was pretty obscure in comparison; Mahler was rising quickly and eventually surpassed Strauss in popularity, in terms of performances and recordings, but when "Also Sprach Zarathustra" was a main theme for the movie "2001, A Space Odyssey" Strauss was at his peak for household folks. If he is somewhat more in eclipse now, he still at his best is a consummate master, a phenomenal orchestrator and brilliantly imaginative inventor of complex programmatic form. If there is a handful of the best of the late romantic giganticists, he is surely up there at the very top. The operas, the late songs, and the best of the tone poems are as worthwhile today as anything. My high school music teacher made me aware of "Ein Heldenleben" so long ago and I am grateful. "Don Juan" is up there with the very best as well. Now I've spent time listening to some of the classic versions of both by the likes of Furtwangler, Klemperer, Toscanini, and you might say I've been spoiled by the very best. The truth, though, is that the benchmark performances of the past do have a common sort of bombast that is exciting to hear, but the 2017 ears can be ready for other takes on what can be done. 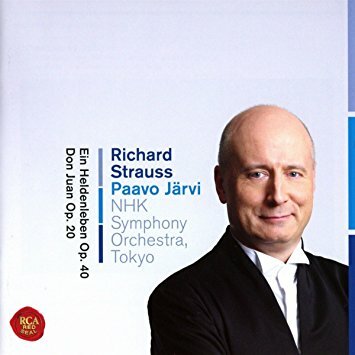 Enter Paavo Jarvi and the NHK Symphony Orchestra in their recent recorded performances of "Ein Heldenleben" and "Don Juan" (RCA 88985391762). There is sterling sound, the full spectrum of orchestral breadth and girth, a passion and chutzpah these works demand, but also just a shade less of the overt bombast and a greater attention to detailed balance than the classic old versions. And so perhaps this is how we now might best hear the two works, slightly less intoxicated with the sensuously over-the-top, a bit more Apollonian a stance, in other words. And I must say I am quite satisfied with that on this fine coupling. If by chance you do not know these masterworks, the Jarvi may be the right place to start. If you are like me and have revelled in some of the classic recorded versions, this is refreshing, a less heart-on-the-sleeves approach that gives the ears something that may be a more contemporary take on it all. "Ein Heldenleben" is indispensable for any student of 20th century orchestral trends, but then "Don Juan" adds to it. So I recommend this one heartily. The Armenian composer Komitas Vardapet (1869-1935) has the distinction of being one of the most lyrical and folk-rooted "modern" exponents of the unforgettable character of the age-old Armenian ways of music making. Like the late Armenian-American Hovhannes at times, he translates the songful traditional idiom into classical terms while eschewing sentimentalizing or romanticizing strains. 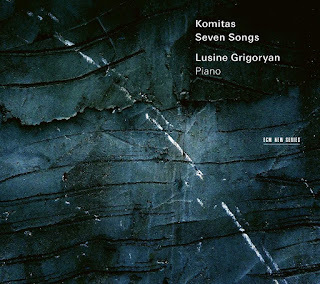 We hear the unsullied purity of pianistic means that Komitas embodies so well on Lusine Grigoryan's recorded solo debut Seven Songs (ECM New Series 2514), which follows on the heels of Grigoryan and the Gurdjieff Ensemble's folk instrument Komitas renditions (ECM New Series 2451) that I happily covered when it came out. The Komitas we hear on the present collection has a directness yet a well conceived pianism that makes full use of the inventively long melodic paths that wind their way through the music in minor diatonic freshness that in a very Armenian way contrasts with the Mid-Eastern and Eastern European raised seventh, harmonic vertically gestural minor modes we are used to hearing. Five compositional groupings grace the program on the CD. 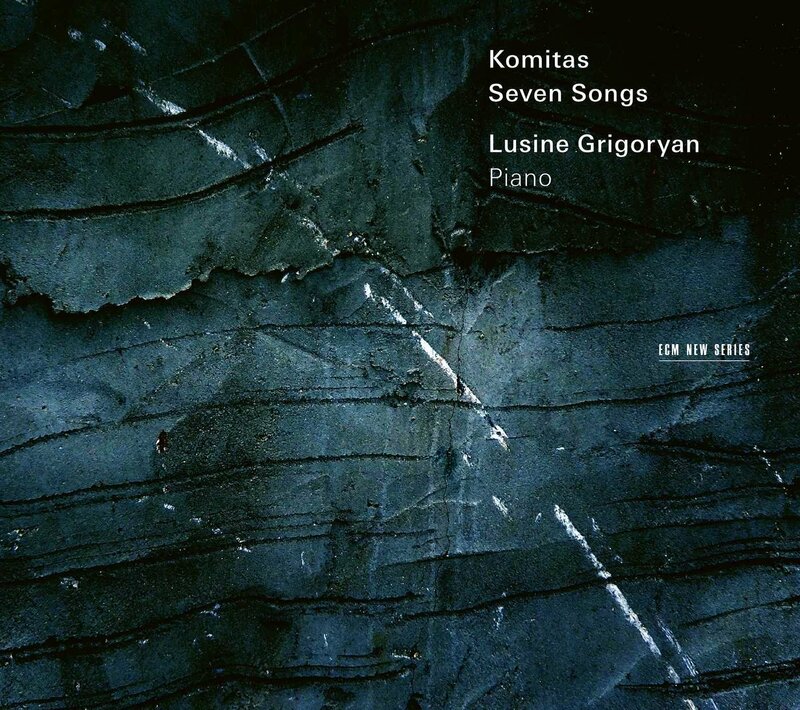 It shows a Komitas firmly expository of Armenian essence, mostly simple but never facile, demanding a poetic interpretation Ms. Grigoryan provides with consistency and real eloquence. Thus we are treated to ideal renditions of the title collection "Seven Songs" plus "Maho Shoror," "Seven Dances," "Pieces for Children" and "Toghik." The inspiration and melodic unfolding never flag. Lusine handles it all with a sparkling luminescence. For all folk-classical minor mode aficionados, all lovers of things Armenian, all who love Komitas this is essential fare. Truly lovely! There has been a flurry of activity, a spate of recordings of Bach's justly celebrated Suiten fur Violoncello. It was considered a masterpiece for centuries, yet unlike say the "Brandenburg Concertos" was not as widely appreciated by the general public as it seems to be now. But then there weren't so many versions available in the recorded medium as there are today. Part of this has to do with a contemporary musical stance that appreciates a bare, unadulterated solo intimacy that contrasts with the past emphasis on making an unholy din in a world of giganticism, though of course that possibility is not so much in eclipse as it is now more emphatically one way of expression among many. Silvestrov's contemporary solo cello music is a great example of the micro-ensemble currency that thrives today. See yesterday's review of that music on this blog. Of course solo piano music has been ever in demand among classical listeners since its advent, but the solo string instrument seems ever more an object of heightened interest and acceptance. The very latest recording of Bach's Suites, beautifully performed by cellist Thomas Demenga (ECM New Series 2 CD: 2530/31), realizes the full scope of the multiple movement music in ways that help raise the bar for flowing, singingly lyrical yet briskly robust versions. The full artistry of the cello solo has never been quite so apparent as here. This performance is not merely a kind of lab for aspiring cellists as it is a totally realized, deeply living and breathing art form for anybody and everybody who wishes to be uplifted by the master composers of our heritage. I have reviewed on these pages one or two other recordings of the Suites that reach similar heights, but all in all this current set has a consistency that is hard to match. Demenga previously recorded the Suites for the ECM New Series between 1986 and 2002, interspersed with contemporary works for cello. This second look at the music is served as it were full strength and gives Demenga the chance to delve ever deeper into the full possibilities of expression the Suites offer to a master interpreter. He very much rises to the occasion with a sort of inner insight into the music that is most rare. Yes, he is technically flawless at all times, yet this is no mere platform for cello artistry. It uncovers the kind of flowing inevitability of each movement with a conviction and an inner comprehension that sets these performances apart from the merely engaged performances we might hear today. The phrasings come alive with just the right amount of rubato to heighten the gestural impact, but never to lose sight of the connectivity of Bach's musical language. Those movements that demand concentrated forward momentum both sing and drive ahead with exciting energy and poise. Those that are more contemplative linger with thoughtful emphases. 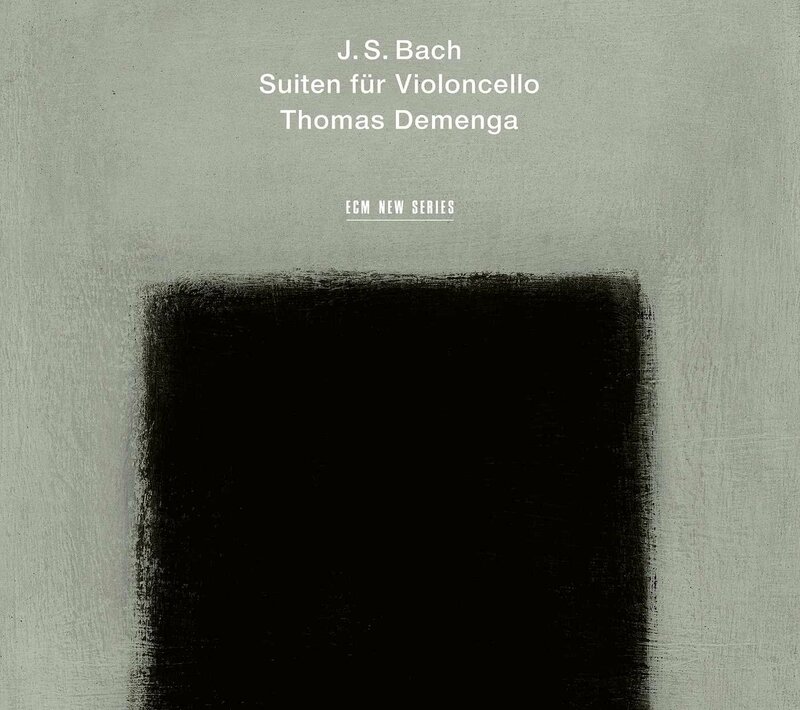 Demenga's deeply rich, beautifully full woody tone comes across from the first bars of the music to the very end. Manfred Eicher captures it wonderfully well, so that the whole affirms a melding of cello timbral depth and musical affirmation. If you can only have one version of Bach's perennial music, this could well be it. It would be my choice right now. Those who feel good about gathering a number of contrasting versions in the personal stacks might well choose this one too, as a synthetic marvel. Modern new music works for one or two cellists. 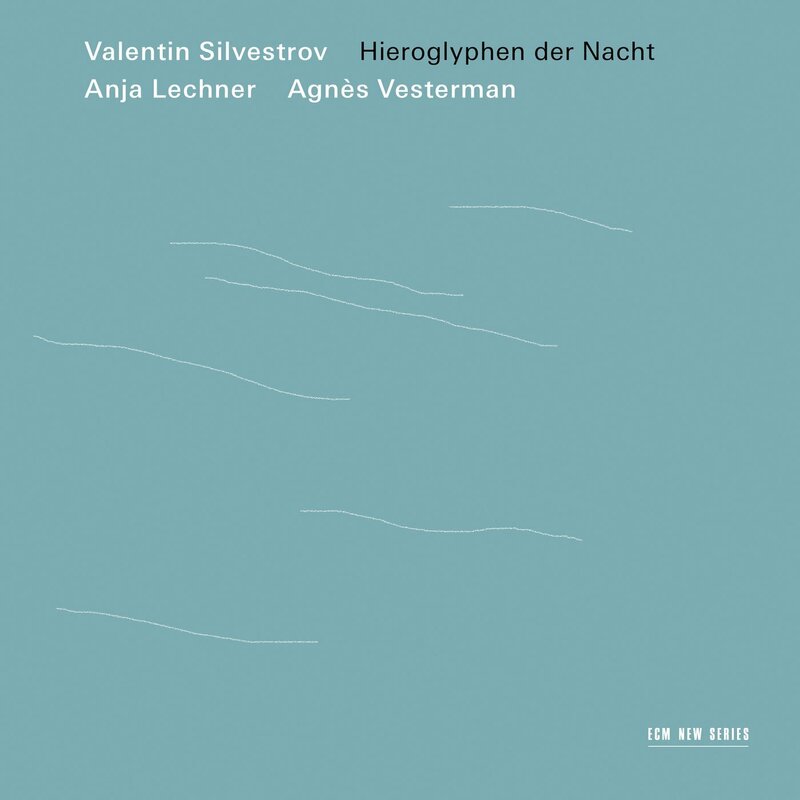 . . if you imagine in your head what that might sound like, you may be surprised when you hear Valentin Silvestrov's Hieroglyphics der Nacht (ECM New Series 2389). It is a series of six works, four for cello and in one case simultaneously sounded tamtams featuring Anja Lechner, and two for cello duo with the addition of Agnes Vesterman. The release happily coincides with Silvestrov's recent 80th birthday. He sounds much younger than that, ever youthful! 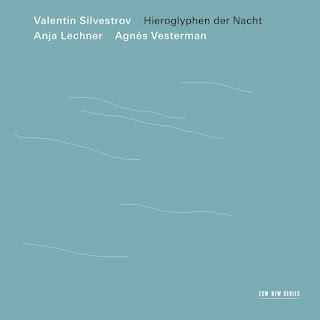 Silvestrov is a composer most acutely aware of the sonic possibilities that are limited only by his fertile imagination, so that this music is expansive and deeply resonant, ambient yet focused on the notes themselves as well as harmonics and other careful interweavings of extended and more standard techniques. He may see himself as a kind of "coda" to music history. Yet we who listen feel the march of time, a moving forward in the music that may bring with it some of the luggage of the past, yet the trip is not at all backwards. It is moving ahead. Silvestrov began his composing career as an avowed high modernist in Soviet Russia (despite general governmental hostility to such things), then came to realize that "the most important lesson of the avant-garde was to be free of all preconceived ideas--including those of the avant-garde." And so in time his music evolved into what he calls his "metaphorical style," or "meta-music." Sometimes that involves a conversation of the present with the past. Yet in these works for single and duo cello there are concentric gestural focal points that continually move forward with a poetic deliberation. Lechner and then Lechner and Vesterman bring determined clarity and perfect execution to the atmospherics that are understandably greatly heightened by Manfred Eicher's sympathetically complementary sound staging. Lechner notes that the solo pieces especially play with the idea of two alternate musical personas that engage one against the other like shadow and light. Throughout this program the one out of the two feeling can show its forward momentum to the deep listener in time. It did for me. So I think for you, also. The duo works are written as if for one extended cello, or cello "four hands," where the interlocking parts sound together closely as one expanded voice in space. "2.VI.1810. . . zurn Geburtstag R. A. Schumann" evokes a would-be lockstep, harmonically anchored allusion to the music of Schumann's making but as if heard across the vast distance of time, a ghostly vision, a rubato that transmits as if a short wave radio signal emanating from far away, a there-not-there mist of sound more than a real-time presence. This is musical poetics of a high order. One could go on at greater length about the impact of each work. The liner notes to the album wax on about such things perhaps far better than my distanced connection to this remarkable music can do. I have perhaps the disadvantage of dis-local participation with such music, yet my distance I do believe helps me evaluate how such music sounds to the well-tempered listener not conjoined in the everyday discourse of the emanation points. So when I feel the magic inherent in this music and its considerably focused and inspired performance, it is I hope what you may well also feel as part of the relational yet distanced ears of the world. So for all you potential listeners out there, whether you love the cello and its many sound worlds as I do, or you are neutral and primarily seeking out music that is worthwhile, Silvestrov and his extraordinarily accomplished cello playing concretizers give you a world of true magic on this one. After a short time you start forgetting how much has gone into making this recording so compelling and instead enter another universe of human sound and the associative thoughts those sounds give rise to. It is as of you have become immersed in the middle of a super musical particle collider where YOU become happily penetrated with sublime aurality. Really. Stunning music in any case. Adopt these works into your musical family, by all means. Strongly recommended. The trio Longleash is a formidable one. They step forward dramatically with Passage (New Focus Recordings 180), a program of very modernistic piano trio works by five composers, all younger than I am. All were born between 1973 and 1984, so they are relatively young. The music has a pronounced high modern panache, and a special attention to "register, tone production, texture" as the liners put it, in other words sound color and extended techniques when appropriate. The music is thoroughly episodic with irregular and punctuated entrances and exits in the idiom of the avant guard chamber outlook. It is music of extended tonality and expanded gravitation trajectory, not, in other words, tonal in any conventional sense, but not necessarily purely atonal, either, for the most part. The trio instrumentalists are put through their paces and handle the complexities with assurance and exceptional musicianship, so that the core of the music comes through with a speech-like naturalness, with phrasings that work together for a cohesive horizontal and vertical logic that is clear and directionally artful. Longleash is named after the CIA Cold War program known as Operation Long Leash, which was dedicated to disseminating US avant garde works throughout Europe. Of course the name illustrates the ambiguity of the functional presence of the avant movement in modern society. The trio is comprised of Pala Garcia on violin, John Popham on cello and Renate Rohlfing on piano. They according to the liners are "inspired by music with an unusual sonic beauty, an inventive streak, and a truthful cultural voice." That is surely true of the works on this album and Longleash rises to the occasion with superbly musical interpretations. None of the composers are exactly household names, but each provides music that together forms a cohesive whole as to general approach while each showing true inventive individuality. 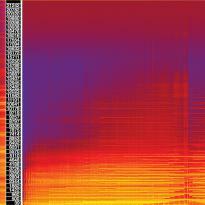 So there is real substance and serious aural remapping of the trio terrain with the program at hand. It begins with Christopher Trapani's "Passing Through, Staying Put," and from there we hear Clara Iannotta's "Il colore dell'ombra," Yukiko Watanabe's "ver_flies_sen," Juan de Dios Magdaleno's "Strange Attractors," and finally Francesco Filidei's "Corde Vuote." We may seemingly be a great distance from Haydn's Piano Trios and indeed we are. Yet the idea of such a configuration as a viable constant remains. 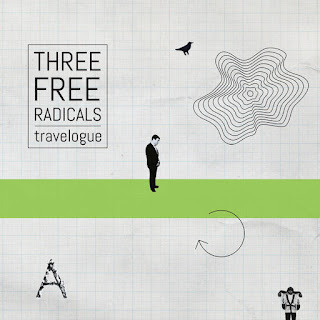 The color capabilities of each instrument as well as the ensemble as a whole is primary to this lively and very musically progressive collection of trio works. Longleash brings us exemplary performances one could hardly imagine being bettered and in the process allows us to hear just how exciting and ear-opening modern chamber music can be. Passage is indeed an avenue, a path, an opening into the latest New Music for Piano Trio and though perhaps not destined for mass consumption, even if it should be, is a real triumph for both Longleash and the composers involved. I recommend it highly. Today, a leisurely walk down a different sort of folksy rooted path that gives us much to experience. There are brambles and thickets going past our forward movement but the path is well marked and goes its distance in a straightforward way. 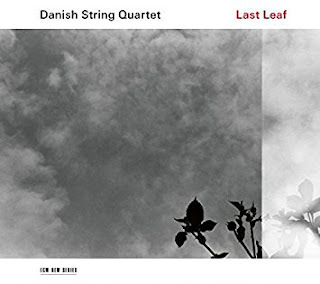 I allude to the CD at hand this morning, the Danish String Quartet and their album Last Leaf (ECM New Series 2550). This is a extraordinarily well knit and adventuresome ensemble. For this new album they devote their attention to Nordic folk forms, specially created arrangements of elaborate folk fiddling and songful artfulnesses, some going back countless eons, whether Christmas tunes or dance fare. There is a unity of mood and purpose in the entire program overall, one that shows the Quartet to have notable virtuoso abilities and a beautiful tone blend born of the sensitive adjustment of instrumentalist to instrumentalist. Added to the string mix is a bit of doubling, on harmonium, contrabass, piano, glockenspiel to add color as appropriate. That and the extended existence of the Quartet as a unit gives us a tightly hewed consonance that is singularly beautiful. So "The Last Leaf" refers to the very oldest secular song-melody that still exists in the Nordic folk stratum of possibilities. "Dromte mig en drom (I had a Dream)" turned up on the very last leaf of the Codex Runicus parchment dating back to circa 1300. That and a 1732 Danish Christmas hymn "Now Found is the Fairest of Roses" are foundational musical parts of this collection-re-creation. And as you listen to the many disparate folk numbers a unified aesthetic unity comes out of it all. It is an album that reveals itself increasingly on further listens, like Russian eggs nested in eggs. In this way the Danish String Quartet creates a program that respectfully explores folk terrain as it transforms it into quartet music, in a re-creative act that takes it all further beyond itself without losing the fresh charm of its reiterative venerability, something new emerging from a misty, not really hoary past. In the best of some aspects of the ECM stance, it brings folk forms to new life as something contemporary and ambiently luscious, verdant, like an unspoiled rural landscape that survives and changes over a long period of time while retaining its original striking quality. Enthusiastic kudos to the Danish String Quartet and Manfred Eicher for bringing to us this beautiful music.